Yellow and brown sunflower on white background. This is a larger scale print perfect for a nice sized table in a tried and true pattern. 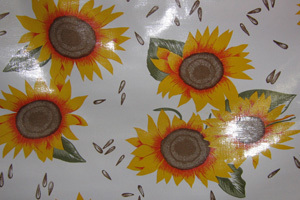 The Oilcloth is 47" wide.